The Kwok brothers are on trial in one of the city’s biggest corruption cases. Sun Hung Kai Properties’ business has held up since the arrest of its co-chairmen in 2012, but the group’s shares have lost their premium rating. The verdict will determine the scandal’s true cost. 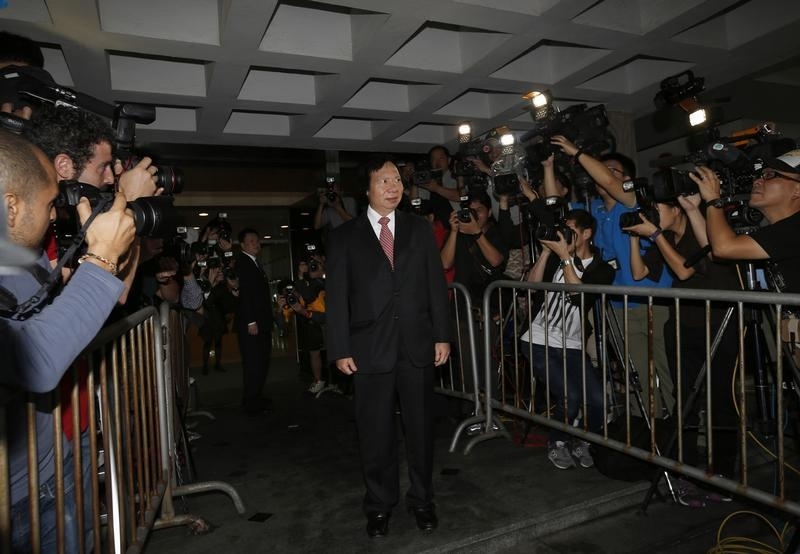 Thomas Kwok, co-chairman of developer Sun Hung Kai Properties, poses for journalists upon his arrival at the High Court in Hong Kong May 8, 2014. Thomas and Raymond Kwok, co-chairmen of Sun Hung Kai Properties (SHKP), pleaded not guilty on May 8 in one of Hong Kong’s biggest corruption cases. The billionaire brothers and two others face charges of making a series of payments worth a total of more than HK$34 million ($4.4 million) to Rafael Hui, Hong Kong’s former chief secretary, the territory’s number two official. The Kwoks are accused of providing cash, unsecured loans, and the free use of two apartments to Hui in return for favorable treatment towards themselves and/or SHKP and its associated companies. Hui faces eight charges in total, including accepting inducements, conspiracy to commit misconduct in public office and providing false information. Thomas Chan, a board member in charge of land purchases at SHKP, and Francis Kwan, a former Hong Kong Stock Exchange official, have also been charged in the case. All five men have pleaded not guilty. The trial started on May 8 and is expected to last for 70 business days. A jury is due to be set on May 19. Shares in SHKP have fallen 13 percent since the Kwok brothers were first arrested in March 2012.